i’m altogether A little upset with my diet today. Not so bad until teatime and then dur dur dur pizza. There is a huge amount calories in pizza. Especially the one I had tonight. I looked at my intake for the day then press the magic button button. And it whirred… And said in five weeks you would weigh 81.5 KG. I thought I’ll take that! 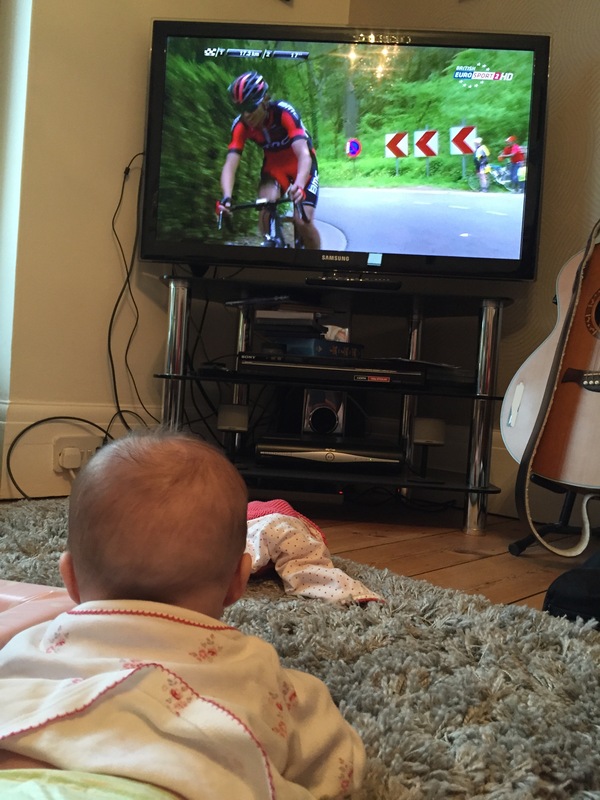 Best bit of the day was my daughter watching the cycling. Giggled all the way through.